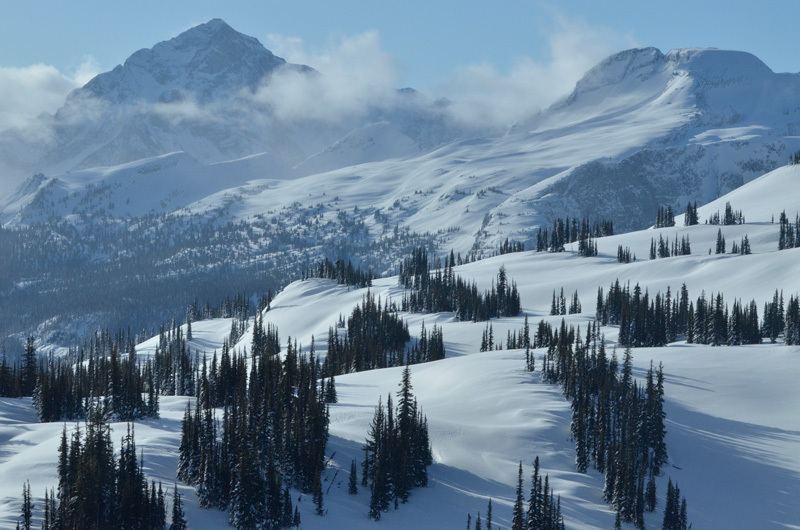 The Columbia Mountains Caribou Research Project (CMCRP) was founded in 1992 with the intent of measuring the degree of overlap between the habitat needs of mountain caribou and forest extraction in the northern Columbia Mountains. Mountain caribou in the Northern Columbia Mountains are unique in that they spend about one-third of the year at low elevation, in old growth cedar-hemlock forests, and migrate up in elevation for the remainder of the year. Many trees in old growth, cedar-hemlock forests are more than 500 years old and extremely valuable to the forest industry. 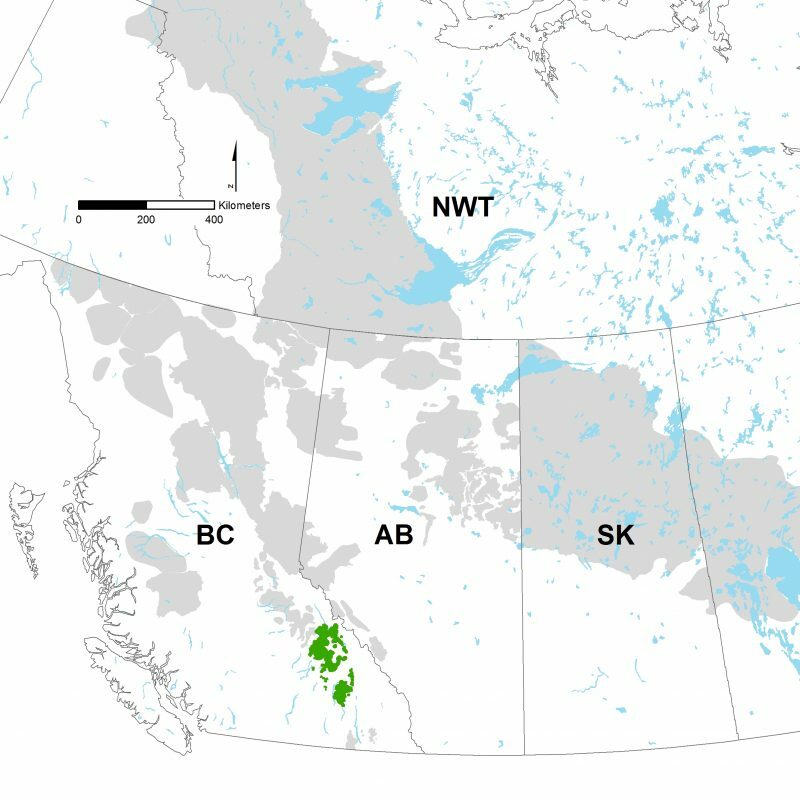 Harvesting these trees can have a long-term impact on the age class distribution of the forest, creating a conflict between caribou and forestry. The degree of this conflict was unknown at the time, so caribou were radio-collared to estimate habitat use and survival and cause-specific mortality. Landscape attributes such as roads and cutblocks were also measured to determine if they affected the survival of mountain caribou. As with many other study areas, predation was found to be the proximate cause of caribou decline, with habitat modification (e.g. forestry) and warming and drying climate as the ultimate causes of decline. More information about CMCRP projects can be found here.